Forsake your house and just run! The enemy is in the doorway! 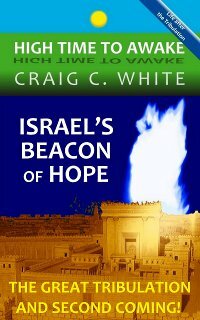 We are given a pattern of the preliminary events of Jerusalem’s Great Tribulation in ancient history. Around 170 BC a Greek king named Antiochus Epiphanies ransacked the temple in Jerusalem and then claimed that he was god. This will be repeated in the future by the man we call the Antichrist. In Matthew 24 this is called the abomination of desolation. When the Antichrist spoils the temple in Jerusalem it will be the sign that the people living around Jerusalem should flee! What is the abomination of desolation? Before or during the seven year Tribulation period Israel will once again build another temple in Jerusalem. They will resume daily animal sacrifice there. The abomination of desolation is the stopping of the daily sacrifice. This was accomplished once before by Antiochus Epiphanies in 173 BC by deposing or murdering the rightful High Priest Onias III and replacing him with a false priest. Antiochus Epiphanies then began making sacrifices to himself as god (Dan 12:11). The future abomination of desolation will also be identified by the stopping of temple sacrifice. In the future the Antichrist will sit in the temple in Jerusalem and claim that he is a deity. This is the abomination of desolation. The region around Jerusalem is called Judea. When the residents of Judea see the temple being spoiled they are warned to forsake their homes and property and to flee into the mountains! They are warned not to go to their house to take anything with them! Not even their clothes! They are warned to flee immediately! I hope that they can heed this warning! I think that it would not be so easy to do. If any one of us saw impending disaster coming, our first instinct would be to save what we could. And to take what we need to survive like clothing and blankets. When Judea’s day of trouble comes, they will not have a minute to spare. Their enemies will already be in their doorway! Matthew 24:16 Then let them which be in Judaea flee into the mountains:17 Let him which is on the housetop not come down to take any thing out of his house:18 Neither let him which is in the field return back to take his clothes. The people of Judea are instructed to flee into the mountains. The mountains are the vast desolate mountainous region east of Jerusalem all the way into western Jordan. Ancient history also gives us a window into the future scene of the day of Judea’s flight. This historical record of Antiochus Epiphanies’ attack of Jerusalem will once again be repeated on the day when Judea flees to the mountains. Notice that his soldiers were instructed to kill anybody hiding in their houses. Both the region of Judah and Jerusalem will be swarming with their enemies. If the people living around Jerusalem don’t forsake everything and immediately run for the hills then they will be captured and killed or taken as a slave to do hard labor in foreign countries (Zechariah 14:2). In the city of Jerusalem half of its residents will be taken as slaves. Anyone trying to escape will be caught and killed (Isa 30:16). A few Jews will remain inside of the city to suffer horribly. When the Antichrist defiles the temple in Jerusalem it will be the sign that Judea should flee! When Judea’s day of trouble comes, they will not have a minute to spare. Their enemies will be hunting them door to door in their homes! Great web-site. We are closer than most think. Hi David: I think that the day of the Rapture and Tribulation is going to come rushing upon us!